The rapid urbanization of China's rural areas is arousing concerns among a broad spectrum of those who are calling for more protection of traditional villages and their revitalization, including scholars, local government officials and villagers, banyuetan.org reported in February. 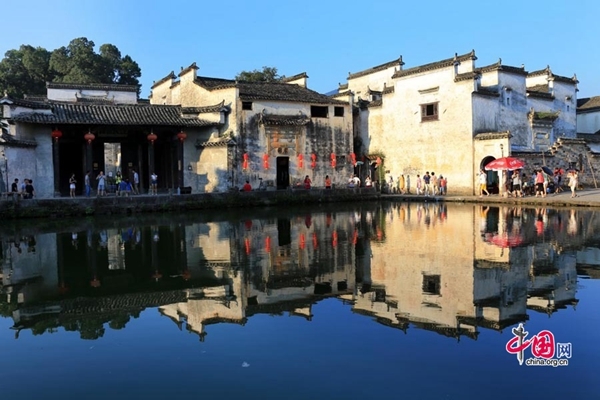 The article said that traditional villages are a channel for carrying cultural information drawn from different historical periods, regions and nationalities, and form a "living fossil of culture." Hence, urbanization should proceed in a rational and scientific way considering local cultural protection. Hu Binbin, professor and director of the Research Center of Chinese Village Culture (RCCVC) at Central South University, is concerned that the urbanization of China's rural areas is taking place at a stunning rate. "Almost every two days, there's a village disappearing from our lives," he said. A village could change so quickly and drastically as to become unrecognizable or even no longer exist over a short time span of only a few years. "Time waits for no man," he added. Hu attributed the alarming situation to a variety of reasons – unplanned housing construction and commercial development in rural areas, the strong outflow of laborers to large cities, and natural disasters as well as unsound laws and regulations, lack of protection standards and shortage of funds. "Traditional villages are facing a real survival crisis," he stressed. The "Blue Book of Chinese Traditional Villages: Investigation Report on the Protection of Chinese Traditional Villages (2017)" shows the number of traditional Chinese villages has declined sharply since the 1980s, and the fabric of many villages has been seriously damaged. Take the Yangtze and Yellow river valleys as an example. There were only 5,709 traditional villages left in the areas in 2010, a decrease of 3,998 in only six years. Thereafter, RCCVC workers paid return visits to 1,033 villages in the two areas, eventually finding nearly half had disappeared; some of the remaining ones were so seriously damaged that it would be hard to guarantee their long-term survival. In August 2012, the Ministry of Housing and Urban-Rural Development, the former Ministry of Culture, the National Cultural Heritage Administration, and the Ministry of Finance made the decision to establish an expert committee on the protection and development of traditional villages. In the following years, four batches were recognized for inclusion in the "List of Chinese Traditional Villages" after investigation and evaluation by the committee. On Dec. 10, 2018, the fifth batch was chosen, with 2,646 villages being recommended. Huang Desheng, secretary of the Party committee from the Huxi Village, Lanshan County, Hunan province, said the restoration of his village would be very costly and needed evaluation by professional organizations. An interviewee explained the current situation of his village – all the able-bodied laborers had gone to seek jobs in large cities, leaving with only seniors. This has led to their houses falling into disrepair, grass and other vegetation running riot, and living facilities becoming old and increasingly unusable. "To protect traditional villages, the most fundamental way is to develop economy, attracting more young people to come back to reactivate the village," Huang said. Speaking of protection of local culture, Hu believed that one single model or solution might not be applicable for all cases in regard to, say, rural tourism development. He cited an example of architecture – houses in certain hilly areas of Hunan province are made of timber or bamboo, which look simple and primitive; while houses in many rural areas of Anhui province are made of carved brick, wood or stone, which look exquisite and refined. Li Pinghua, an official from the housing and urban-rural planning and construction bureau of Qiyang County, suggested giving full play to local resources in traditional village revitalization and highlighting local characteristics in instead of copying other areas' experience blindly.